A funny thing, the senses. I have an aversion to the smell of gasoline, the taste of lamb and the feel of steel wool but I love songs in minor keys. Some examples are: Things We Said Today (the Beatles), All Along the WatchTower (Dylan), and As Tears Go By (Stones). Neuroscientists claim that songs written in minor key evoke melancholy and its twin sisters, depression and gloom. I’ve never found that to be the case. Take, for example As Tears Go By. The singer is pensive, mournful of the fact that money cannot buy him happiness and yet observant of the world. Somewhere, despite our losses and pain, children will be playing. A love that went on and on only in a song. 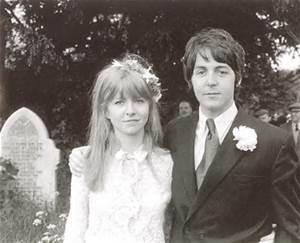 indeed, since Paul McCartney wrote the song to Jane Asher, the relationship seemed doomed to have its brightest moments in songs. Hey, if my finest moments are in words, I’m a happy camper. In All Along the Watch Tower the only people who seem to know what’s going on are a joker and a thief. Kind of reflects my vision of the world. Bring on the jokers and the thieves. I haven’t spent a lot of time figuring out why I am attracted to songs that depress other people but I did stumble upon this website a few months ago which gave me a clue. Enter the date of your birth and it will tell you the most popular song the year you were born. Apparently I was conceived to sound of a zither. Well, that explains a lot! How about you? Does the song your parents were listening to when you were conceived help to explain some odd character trait you’d care to fess up to? 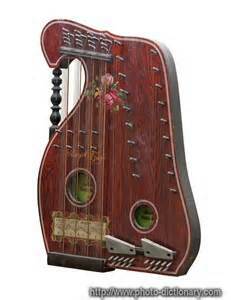 This entry was posted in Posts and tagged songs in a minor key, The Third Man, zithers. Bookmark the permalink. Oh! I had no idea I’m so old! (Twelfth Street Rag by Pee Wee Hunt and His Orchestra) Will check out Ballerina by Vaughn Monroe and His Orchestra to hear just how romantic the conception was. You and me both! Sigh. Music really is a fascinating study… I’m also a fan of songs in the minor key, but I do love a good beat. To be honest, I can’t imagine life without music! I agree entirely. Can’t imagine a world without music! “Fame” by David Bowie….I think my parents had a wild side, I’m just not aware of? Maybe you’re going to be famous! “Come Together” by the Beatles. It explains my perpetual obsession with helping people get along. 🙂 Jan, I love that you aren’t saddened by statistically sad songs. Perfect! Songs in a minor key put me in a reflective state which really isn’t a bad place to be! “If You Leave Me Now” by Chicago. Given my recent horrific end to my marriage, the song is spot-on when it comes to hanging on too hard for way too long. I held on for too long too. That’s one of the themes of the last book I wrote. Painful to admit but you’re not alone, my friend. No, I think she was (is?) a cheerful actress. Nothing wrong with that! We need more cheer in the world. Interesting! My mother was into country too and tv shows like Harper Valley PTA. I remember that show. My parents loved Hee Haw. I love songs in minor keys too, Jan. And they don’t make me sad unless I already am. Then, they make me cry a little, and I’ll usually feel better. What a great website you found! Looks like I was conceived to “Sugar Shack.” Hmm. Guess that makes sense? So your parents were thinking sweet thoughts! Lovely! I have no idea what music my parents may have been listening to when I was conceived. Based on my love of red hair, finding men with Spanish accents hot, and a propensity for getting into jams with zany girlfriends, I suspect I was conceived during an episode of I LOVE LUCY.